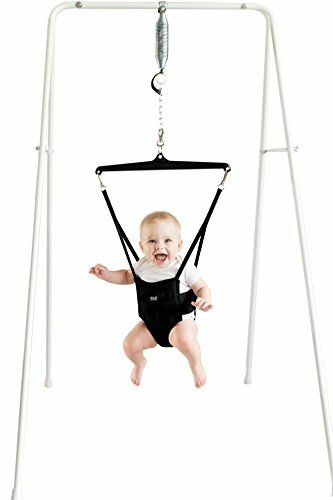 DEVELOP MOTOR SKILLS - The standing jumper helps build babies develop coordination, rhythm, strengthening muscles, and improving balance. EASY STORAGE and DIY - The portable stand folds flat for easy storage and does not consist of any tools for easy set up. USE INDOORS OR OUTDOORS - Perfect for letting your baby stand outside during while the suns out or inside to practice walking just like their parents. If you have any questions about this product by Jolly Jumper, contact us by completing and submitting the form below. If you are looking for a specif part number, please include it with your message.